Every dairy wants to do a better job raising calves, but how do you know if your protocols have the desired results? Our Calf Lab tools take the guesswork out and deliver straightforward results. It is now easy and simple to know if you are improving and reaching your goals. Call us today 715.318.0897 to set yourself up for success! Download the Calf Lab brochure. Digital refractometer will become your everyday tool for raising healthy calves. 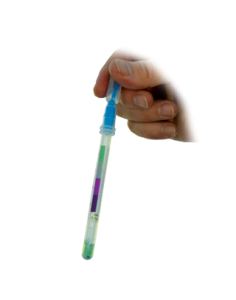 Use it to get the most out of your colostrum by allocating the highest quality to your replacement heifers. Then use it to verify that the transfer of passvie immunity was successful. 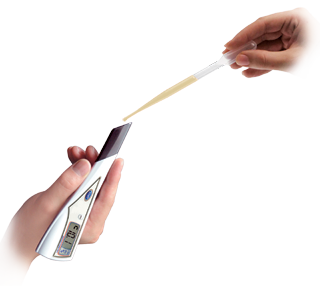 Whatever your needs are this refractometer will give you consistent and accurate results. Even balancing calf milk will become a breeze. distort the next reading. This refractometer makes testing and cleaning easier than any other method. Simply dip into the liquid and press start. Calibration, too, is only a push of a button away. A handy step by step guide in English and Spanish accompanies each unit to help you get started even faster. Durable packaging houses an easy to replace battery. 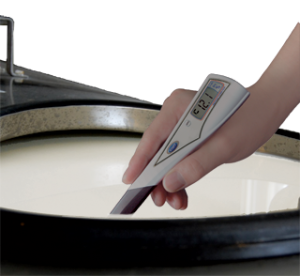 With this Digital Dip Style Refractometer you can test immediately after collection. Quick three second reading displays accurate results on an easy to read screen. The results hold for two minutes allowing you time to take notes. The most important meal of a calf’s life should be served properly. 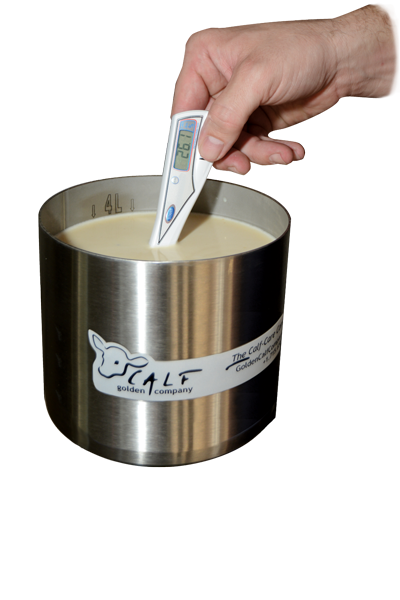 By testing each batch of colostrum you can maximize the usefulness of it. 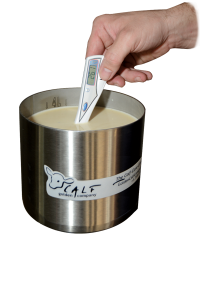 Now you can rank quality levels of all colostrum and feed accordingly. Learn more about colostrum testing. One of the best ways to know if your colostrum feeding protocols are working is to measure BSTP. 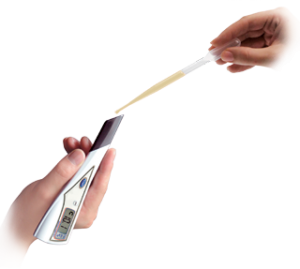 By using the step by step guide that comes with each dip style refractometer you can easily test whether your transfer of passive immunity was successful. Knowing which calves did and didn’t receive the proper immunity is critical for future care. Unsure about feeding your waste milk to calves? 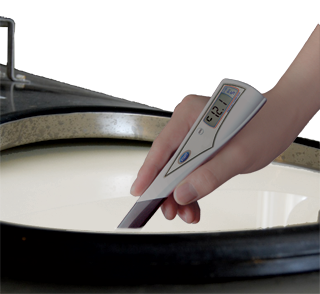 With this refractometer you can easily measure the percentage solids of each batch and use a milk balancer to offer the same level of nutrition each and every day. If you have concerns about bacteria load give us a call to discuss calf milk pasteurizing. Easy to use and unbiased testing tool for monitoring cleanliness. It only takes 15 seconds to have an accurate reading. 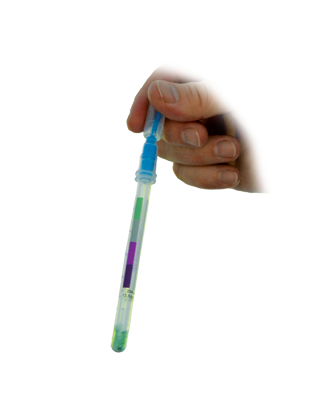 Simply swab your surface with the ATP swab and plug into the luminometer for a reading. The ATP swab breaks through the Bio-Film to ensure the most accurate results. Knowing that your cleaning protocols work well is essential for your success. 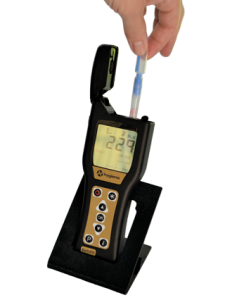 An often overlooked tool, the pH Meter provides valuable information. 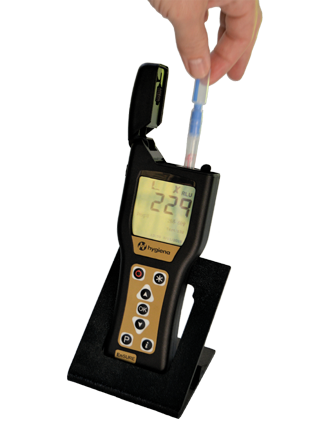 Independent of temperature, this highly accurate tester assures correct acidity in acidified milk feeders. When used with calf milk it can determine the available protein allowing you to adjust for calves’ nutritional needs. Urine pH is easy to measure.